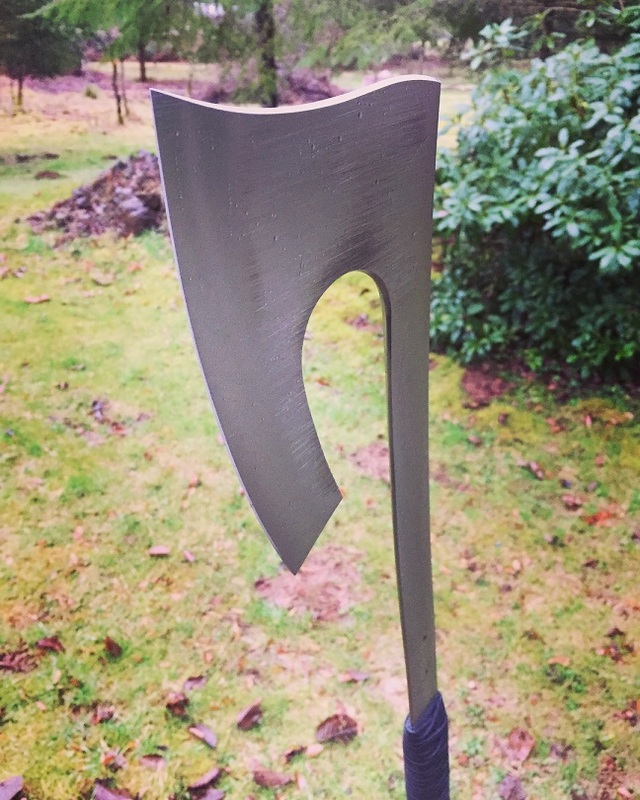 Here is an axe prototype/tester, cut and forged from titanium alloy plate. The cutting edge is heat-treated. 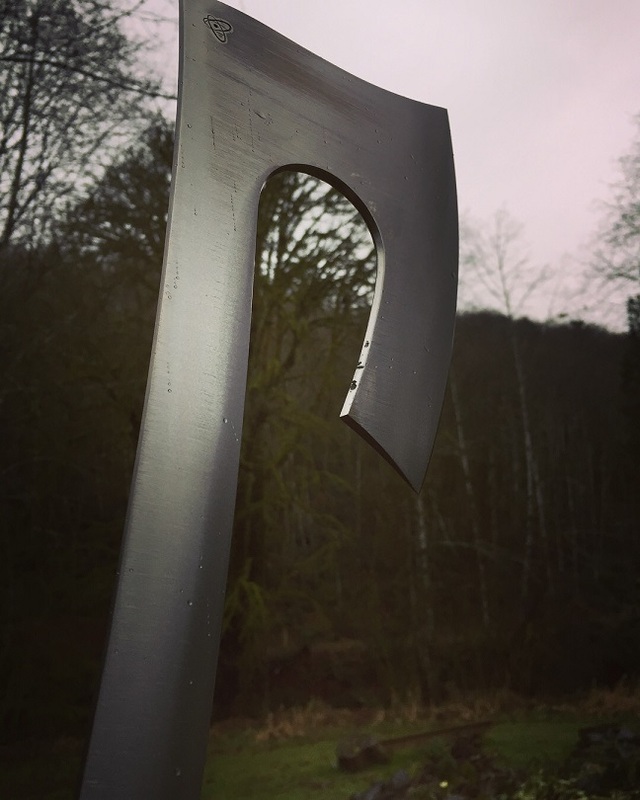 The handle is elliptical, and tapers from thin to thick as it approaches the axe head. The entire circumference is filed into a bevel (except under the handle). 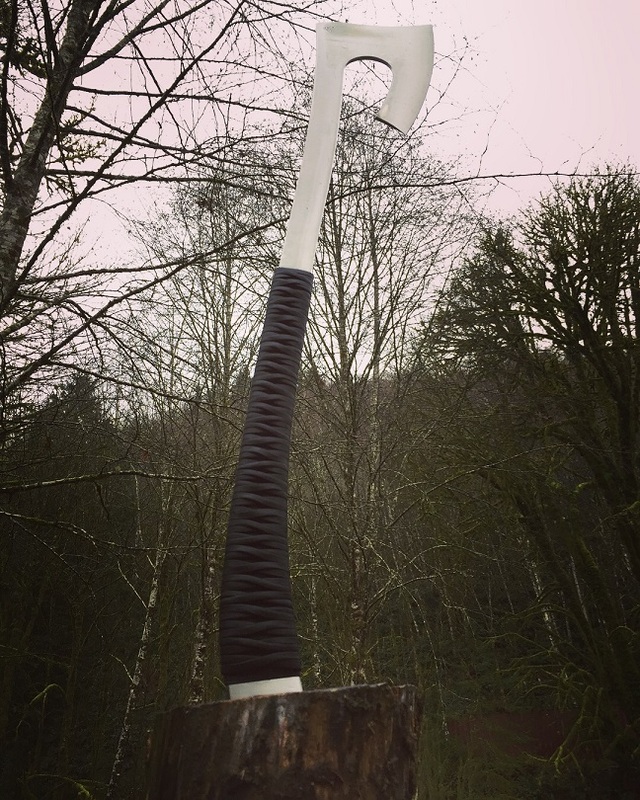 OAL is 30.5" with an 8" cutting edge, and a weight of 2 lbs 3 oz, balanced right at the top of the handle. The handle is rubber, nylon, and leather. This axe worked great, so I will make a finalized version. Probably a little bit thicker and longer. flatblackcapo, fonedork, Øye and 11 others like this. 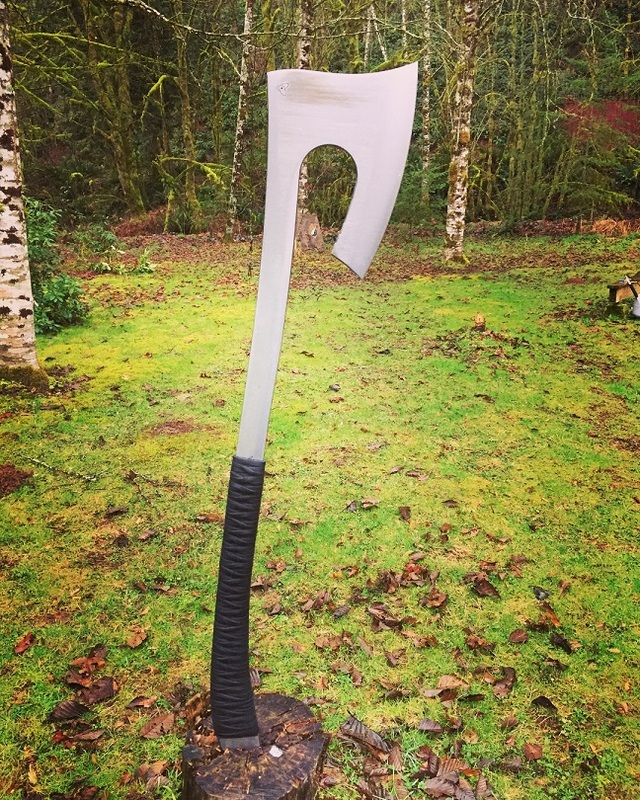 Finally, a SCUBA diving axe! Ha. That's really cool, I know next to nothing about titanium and your work with it. 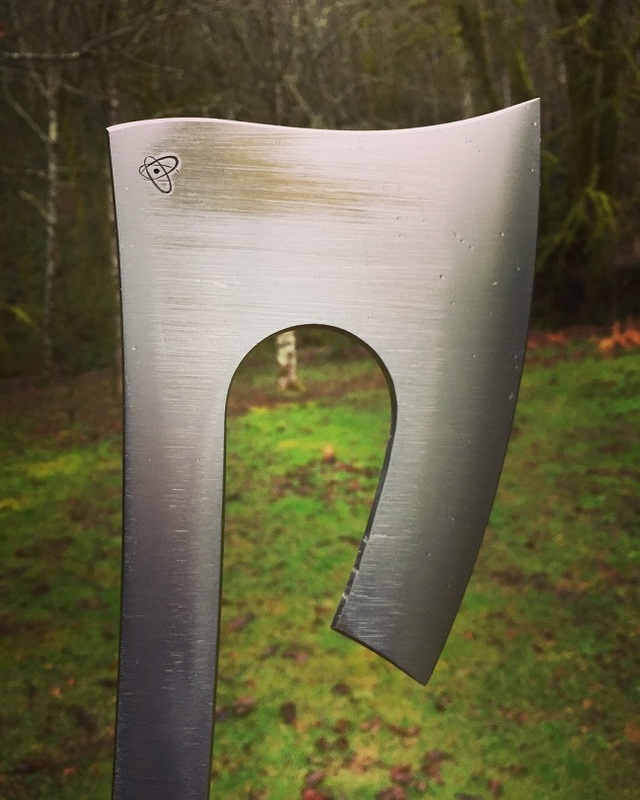 How are you able to make a quality axe from it? HAHA! For viking scuba divers! Shape the titanium through forging and grinding, then heat treat the cutting edge for more hardness and durability. In use, it's more like steel than you'd think, somewhat lighter and with a different sort of rigid springiness. 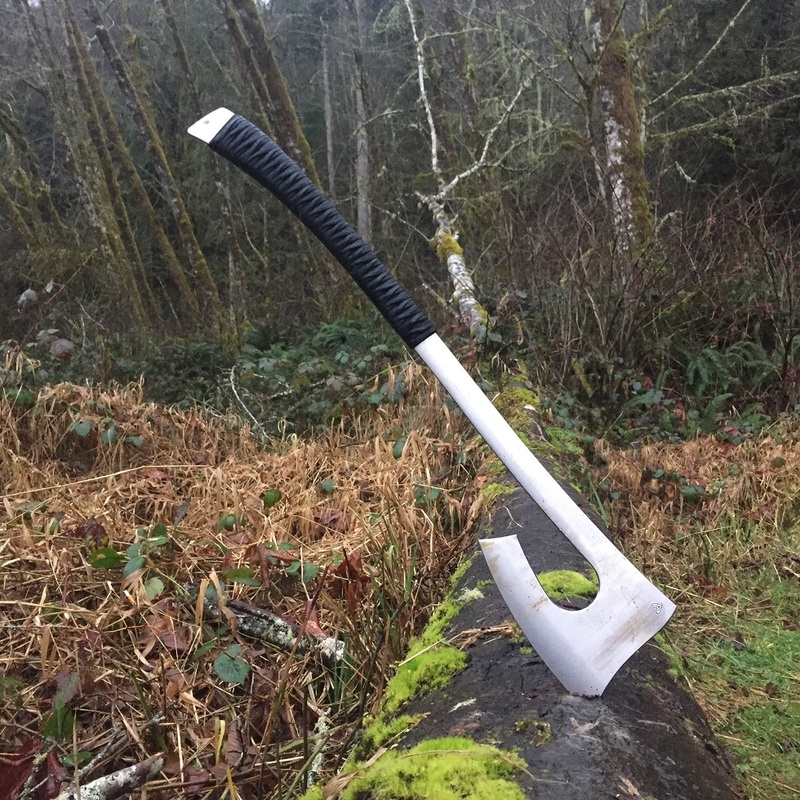 This one is sort of an axe-shaped machete, and I'd like to make the finalized version just a but thicker to help with splitting, but still keep it thin for cutting. 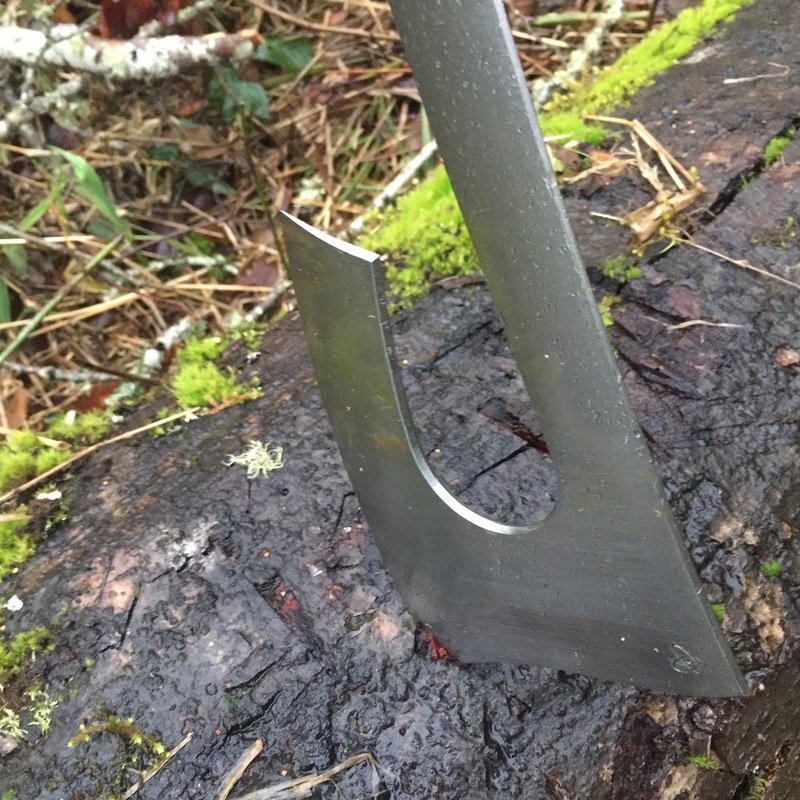 A convex cutting edge helps keep the axe from sticking in wood too badly even though it's thin. Øye, jbmonkey, hexenjager and 4 others like this. needed the conan music though in the video. Mecha and WValtakis like this. When Spaceforce USA officially become the Terran Space Marines I know they are going to be hitting you up forntheir blades like crazy! jbmonkey and Mecha like this. Øye and jbmonkey like this. But that music is for the riddle of steel? If it drives ones enemies before him and incites the lamentations of their women, then it qualifies. Øye, jbmonkey and WValtakis like this. Axchete sounds great to me. I never saw this beast.. wtf.. want. Sam you ok man? I'm just trying to get up to speed here.. I'll message you later once I read through some garbage.. Beast came and went. It is the basic pattern for the upcoming axes though. 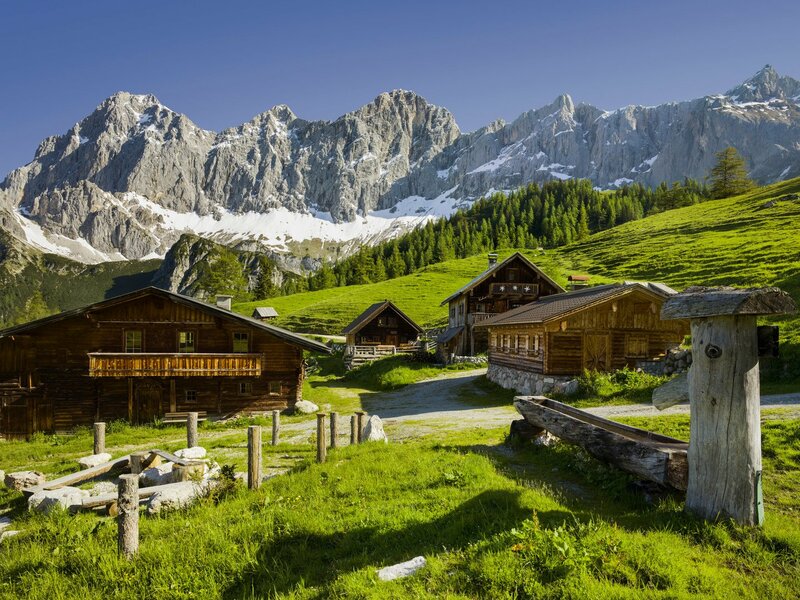 It landed in a magical land where the woodsmen mountaineers are legendary. Øye, protourist and jbmonkey like this. Do they work all night and sleep all day??? Legend has it that they never sleep. used to be. now riddle of titanium. crom has bowed his head in shame from the God of titanium. "Legend has it that they never sleep." Sounds like a good premise for a movie. What makes you think that? 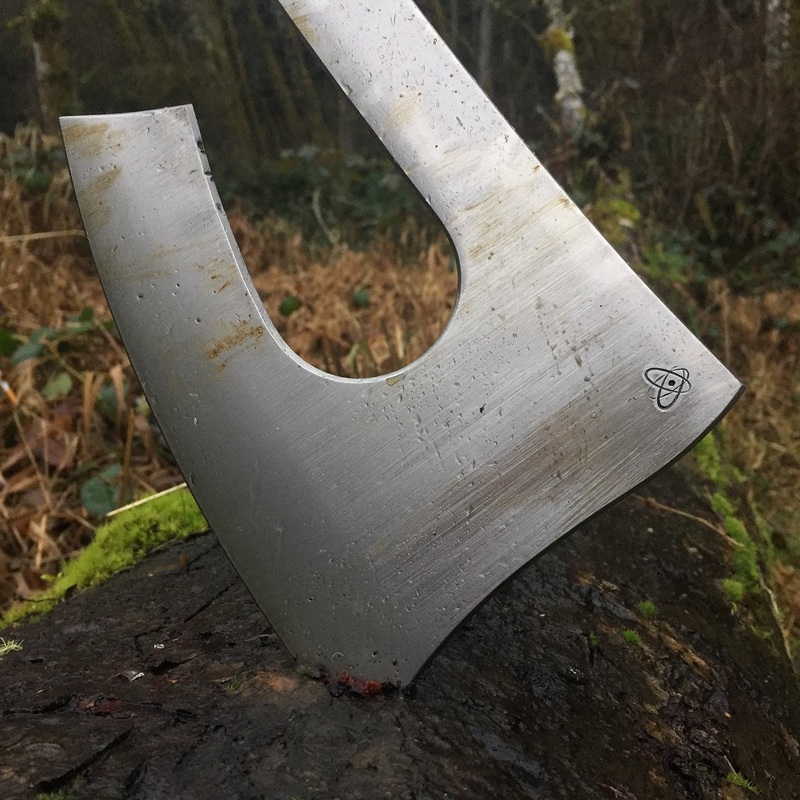 Titanium alloys are very strong and resistant to cracking or breaking, and the heat-treated axe blade keeps a nice edge.